Of the Kitten Kind: Juice, juice, baby. Sometimes, you just gotta make do with what you've got. 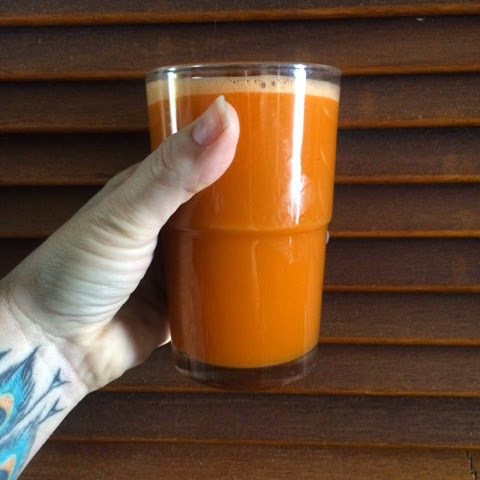 This is carrot, apple and fennel cold pressed juice for le breakfast. I Love carrot and apple. I've never thought to put fennel in a juice but I bet it tastes great!